Straw roofing can be seen adorning many rural properties throughout the UK. Few would dispute the quintessentially English charm and character it can lend to a home. Long straw has an organic, rustic appearance that you might associate with a busy farmhouse. Once threshed, long straw is shaken, wet and left to steep. When it becomes pliable, the straw can then be formed into long straw yealms. As part of the thatching process, these yealms are affixed to the roof. Fixing rods are utilised to secure eaves and verges. High quality long straw is grown solely for the purpose of thatching. If professionally applied, your long straw thatching should last around 25-30 years. Combed wheat straw has a neater, more uniform appearance when compared to long straw. Whilst grown using similar methods to long straw, it is also processed through a comber, which removes the grain and leaf. Combed wheat straw provides the longer lifespan of the two varieties; with proper care, you can expect your combed wheat roofing to last around 30-35 years. Both styles have their unique appeal, but whether you opt for long or combed wheat straw, it's crucial to choose a professional thatcher that can deliver the work to a high standard. With more than 35 years in the trade, SJ Eccles & Sons are renowned throughout the UK for their quality craftsmanship and reliability. 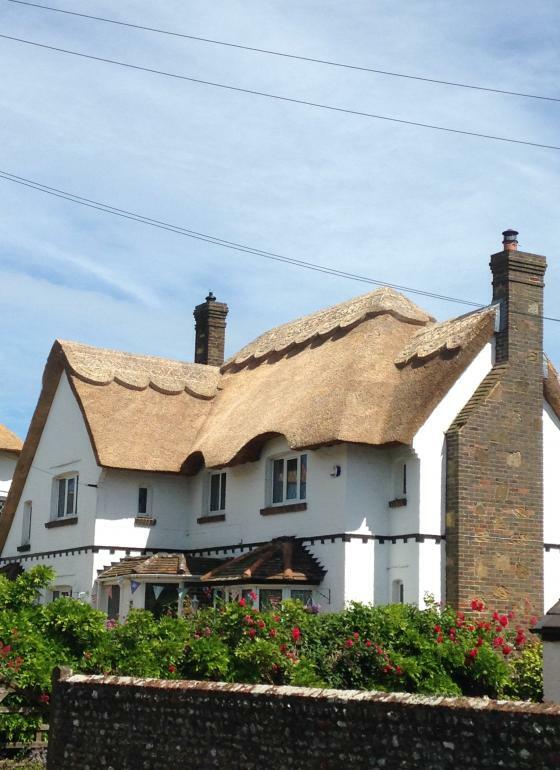 If you're considering a straw thatched roof, talk to us first! We're confident we can create something you'll love.